Francis Bassett Shenstone (FBS) Flindell was born in Truro, Cornwall on February 9th, 1810. He was the eleventh of fourteen children born to Thomas Flindell II and Mary Brunton. At the time his father was publishing The Royal Cornwall Gazette from Lemon Street, Truro. As was the custom Thomas and Mary named their children in honour of f amily or sponsors, and so it has been for some generations following. For FBS, he was named after Francis Bassett and William Shenstone. For “young Shenny”, as he was known to his older sisters, family life became a traumatic period when in 1812 his father sold his share of The Royal Cornwall Gazette and moved his family to Exeter where he established The Western Luminary”. His father Thomas was not a shy, reserved man, nor did he ever profess to be anything but outspoken. As will be seen FBS was very much in this mould. When FBS was 10, his father was sentenced to 8 months jail for libel to Queen Caroline. This second term of imprisonment was said to have broken his health and he died on July 11th 1824 at the age of 57. (Click here for Thomas II). An obituary to FBS published by the Western Australian Inquirer, of December 1st 1886 reflected that it was natural that he should learn the printing trade from his father. Although just 14 when his father Thomas died, there was that period of his father incarceration and subsequent sickness leading to his death when the family was committed to keeping the presses running and no doubt FBS played his role. He was to follow that business into his early days in the Swan River Colony. Selina, who was born about 1834. Maud born 1867 and died May 19th 1942. Francis John born 1875 and died March 9th 1876 aged one year. Edmund Kestrel born 1862, died January 23rd 1938. Francis Richard Flindell born November 28th 1863, died June 21st 1915. Frederick William John, born 1876 died April 12th 1901. Ellen Louise born November 15th 1866, died September 5th 1951. Thomas born in Birmingham December 9th 1843 and died at Bridgewater, Somerset October 1846. Unnamed male born June 13th 1845 and died June 15th 1845 at Greet, Yardley, Birmingham. Ellen Harriet born October 25th 1878, died October 19th 1939. Albert Edward born at Perth January 1885, died age two months. Walter Richard born at Fremantle October 27th 1893, died at Fremantle February 5th 1968. Elizabeth born in Bridgewater 1854, died in Fremantle age 17 on May 23rd 1871, just 10 months after her mother’s passing. That there is no other record of Elizabeth in family correspondence or lore is unusual. It may be she was born with some abnormality, possibly Down syndrome, but this is speculation. Her death is recorded in the Skinner Street Cemetery records. The Justice Department Death Certificate 4966 of 1871 lists Francis B.S. Flindell as father. Family lore had it a son named Charles, born either 1835 or 1845, remained in UK; however this has not been confirmed. This may have stemmed from family letters referring the cousins Charles (1856); Katherine also called Sissy (1859); and Florence (1870), the children of Charles Flindell. The Church of Latter Day Saints (LDS) Family Search website list Charles Croft and Eliza Jane Flindell as the parents of Florence. Another record from this website shows a Charles, parents FBS and Joanna, born about 1836 in Birmingham, with the notation that a member of the LDS submitted this record after 1991 without additional information or validation. However, the 1871 English Census lists Charles Flindell age 46, head of the family, wife Kate age 39 and children Charles (15), Katherine (12) and Florence (1). This would give a birth year for Charles as about 1825, eight years before FBS and Joanna married. The two LDS records are in conflict with the English Census, which is probably more reliable. 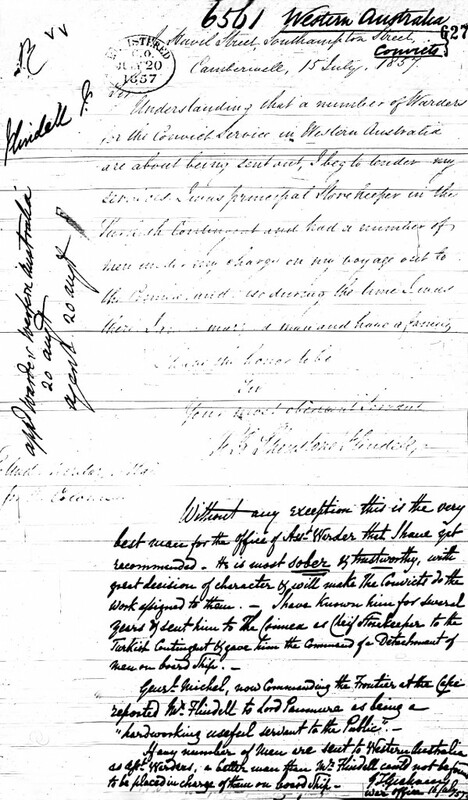 Other errors have been found in LDS records associated with the Flindell family. In the absence of documented proof it may be assumed that FBS and Joanna did not have a son named Charles. So who were the likely parents if a “cousin” relationship was correct? My best guess is that he is the son of Thomas III, born about 1795. Thomas was the oldest brother of FBS and the eldest son Thomas II and Mary Brunton. It is highly probable that Thomas III was a printer and therefore Charles may have also followed this trade. Thomas III married E. Croft in Exeter on July 29th 1821, hence the name of Charles Croft Flindell. The long family printing connection may have been a factor in Charles working for Casolan & Co, Type Founders, of Finsbury Pavement, London a type founding company as stated in family letters. Of the remaining married brothers, John Brunton, born about 1796, had at least one child, Mary. No record of a son has been found, nor for that matter the name of his wife. Mary married Thomas Bate, her first cousin, had had no issue. The other possibility is Phillip, born 1788. Sadly I have no further information on Phillip. The only other male sibling was Francis Gregor born 1811, but he died before his third birthday. If a first cousin relationship is not established, and there are letters referring to Charles as a cousin, then this may confirm a relationship between the “Cornwall” Flindell family and the Middlesex Flindell families. Soon after their marriage FBS and Joanna moved to Birmingham. While the exact date is not known, they were there on December 2nd 1834 when their first child James George was born. The St Martin’s parish record of his baptism on December 29th 1834 notes his parents were Shenstone and Joanna; the father’s trade was printer and their abode Edgbaston. This was so for the subsequent children, Richard Brunton and Ann baptised on March 6th 1839; and Mary, Louisa and Joanna baptised on May 10th 1842. The family remained in Birmingham prior to October 1846 when the death of their son Thomas was recorded at Bridgewater, Somerset. 1854, 29 June F B S – Wembdon nr Bridgewater birth of a daughter (this was Elizabeth). 1854, 20 July Flindell Mr. – Bridgewater Times transfers to Thomas Harper Bodley. 1854, November 16 Flindell F B S – appointed inspector of nuisances Bridgewater. I was Principal Storekeeper in the Turkish Contingent and had a number of men under my charge on my voyage out to the Crimea. Mr. E.T. Graham of the War Office wrote highly supportive comments and attached an extract from a dispatch by Major General T. Michel, Commanding the Turkish Contingent, to Lord Passmore with testimonials from the General and line staff officers. All reported on FBS in glowing terms. See Appendix A. It is not unusual for front line staff officers to hold a different opinion to their political and military masters. After all FBS was supporting their efforts to sustain battle which may be why General Michel stated he felt FBS was underpaid and requested he be paid a gratuity of six months pay for meritorious service. It is not known whether this was paid. The application gives the address of FBS as Havel Street, Southampton Street in Camberwell. This is in the district of Southwark on the south bank of the Thames River. My father went out to the Crimea as a clerk to his father (my grandfather) Francis Bassett Shenstone Flindell – after the war, on his return to London my grandfather F.B.S.F. got my father indentured to the East India Coy as a Telegraph operator. There is also reference in family circles that they lived in London at 376 Brixton Road prior to emigrating. This was also the address of Charles Flindell, a coincidence that may have served to muddy the status of Charles’ relationship. This has not been validated and conflicts with his Camberwell address in July 1857. FBS and family sailed from Plymouth on September 23rd 1857 in the “Nile”, which was carrying 268 prisoners and 40 warders and free passengers. It arrived at Fremantle on January 1st 1858. The “Nile” was a four masted sailing ship of 763 tons under the command of Captain Johnson. The principal warder for this journey was John Bamford Hale. Also aboard was Matthew Blagden Hale, Anglican Bishop (designate) of Western Australia. (I understand the two were not related.) FBS was a warder and his son James George one of the assistant warders. Neither the principal warder nor Bishop Hale’s families were listed in the passenger list, but Henry Conquer (age 6) and William Hale (age 7) formed a close bond on the journey and remained lifelong friends. The voyage out served to test the mettle of the warders, passengers and prisoners alike and perhaps set a pattern of friendships and foes that would carry into the colony. Assistant Warder Thomas Moriarty requested an enquiry into FBS for “using low, filthy and disgusting language both in the prison and steerage” and further alleged that FBS “was associating with convicts and discussing shipboard security with them”. The record does not state the outcome, but it does note, “The conduct of both Flindell and Moriarty may to some extent account for the indiscipline which appears to have existed on the Nile.” This implies Moriarty was not blameless. In 1860 FBS applied to work in the printing shop. In February 1861, with suitable testimonial as to character and ability, he was employed in the printing office and relinquished his position as warder, one suspects with a degree of relief. It is interesting to note that by this time he was considered “of high character as an upright sober and scrupulous man, very exact in the duties which he undertakes”. Naturally, this is how his descendants would prefer him to be viewed. The Perth Council was constituted in 1858. No credit is claimed for this advancement, coinciding as it did with the arrival of the Flindell Family. However, in 1864, Mr. George Baker was sacked as the collector and street keeper for the council and FBS was contracted as the clerk to replace Baker until January 2nd 1865 at twelve pounds per annum. An annotation in the Crimea Medal Roll against FBS dated January 20th 1865 stated his medal was forwarded to Customs Fremantle, Western Australia. It is known that he was employed as a “Tidewaiter” from August 1864 to December 1865 on an annual salary of £80. This is a customs officer who waits on the rising tide to join ships entering port and affect customs clearance. THE horse ” BARON,” by” Akbar’ out of a ” Margeaux” mare, will stand at GUILDFORD every Monday and Friday, commencing 10th July, till first week in September, 1876. At PERTH, at Mr. D. Jackson’s, V. S., Mount Eliza, every Wednesday, from 5th July till first week in September1876; Terms – £2 2s. ; Groom’s fee 2s. 6d. F. B. SHENSTONE FLINDELL, Agent. Guildford, 22nd June, 1876. Family tradition had it that FBS and Joanna reared their granddaughters at their Point Walter property. Like many family stories, there is an element of truth in this. Their daughter Louisa married James Watson on November 18th 1860 and they had two children, Joanna Francis born November 2nd 1861 and Ellen Louisa born November 15th 1866. James died shortly after the birth of their youngest child, and Louisa is said to have died of a heart attack on October 19th 1871, brought on by the loss of her husband. Six-year-old Joanna Francis and one-year-old Ellen Louisa were taken in by family. FBS had been caring for his wife whose health was failing and she died in Fremantle on July 5th 1870 and was buried at Skinner Street Cemetery. The combination of Joanna’s health and their relative isolation at Bull Creek was perhaps why the girls were taken in and reared by their aunt and uncle, Mary and George Thompson. There is some suggestion that George and Mary took in Ellen Louisa and Grandfather FBS cared for Joanna Francis. About this time George was the Clerk of Works (later Town Clerk) for Fremantle then owner and licensee of the Pier Hotel in Fremantle (1876-1881). It was August 7th, 1869 when Francis Bassett Shenstone Flindell purchased land at Point Walter from Gordon Ralston, Master Carpenter of Fremantle. The Memorial to register the deed of mortgage refers to FBS as a farmer of Bull Creek on the Canning, Western Australia. The purchase price was £20. Descendants will be saddened to note that the 10 acre parcel of land in question was a strip bounded on the west by the Swan River and on the east by Stock Road, a length of about 1000 metres, and was about 150 metres wide adjacent to the southern boundary of the present Point Walter Reserve. The default clause allowed for the land to be sold if payment had not been made in full within twelve months. Sadly, for this is now prime real estate, the default clause was invoked and Mary Higham bought the property in October 1870 for £40, leaving FBS with a profit of £20. The “default” Memorial describes FBS as a farmer of Fremantle; however I have not found any evidence that FBS farmed this land. He was, however living at Point Walter in December 1881, when he signed a letter to the editor as F.B. Shenstone Flindell, Point Walter, 9th December 1881.
the property as a whole may be described a rus in urbe, unequalled for quality, comfort, and completeness in the district. TITLE- Crown to the late Mr. R. B. Flindell, who bought it from the Government. For many years this property was the Official Residence of the Superintendent of Convicts for the Swan district, and is within four minutes walk of the Railway station. Morrison later reported moderate attendance with very dull bidding. The house and garden were passed in at the vendor’s bid of £350, and are for sale at that price privately. It had been difficult to find any document that accepted the role of FBS in the formation of a central show society that was until the publication of Adversity and Achievement – A history of the Royal Agricultural Society of Western Australia. I found this to be a balanced, if not always flattering review of the RAS origins and development. It treats FBS fairly, but draws some conclusions that do not seem to have taken into account all the facts. This is understandable as the facts are not always easy to find and frequently get confused with folklore from those for and against the man. Nevertheless I pay tribute to Mr. William Cooper who undertook the research, and Messrs Garrick Moore and Michael White who authored the book. 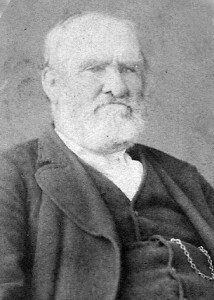 They assigned Chapter Four to “The Central Society and its Forgotten Founder 1873-1883” with Plate 4.1 a photo of “Francis Bassett Shenstone Flindell, Founder of the Western Australian Agricultural Association. I commend this book to anyone seeking a deeper knowledge of the Society and the part FBS played, but for the purpose of this family study I will restrict myself to the key issues that reflect the efforts of FBS to promote the Swan River District and its agriculture. In this short speech FBS displays not only an educated eloquence, but also political astuteness in publicly claiming the high ground for the railway and the future Royal Agricultural Society. In so doing he opened himself to attack from others not wishing to share the glory, particularly politicians. One who chose to attack did so incognito in letters to the editor under the nom de plume M.L.C. He was to feel the written rapier of FBS in the same press not hiding by a non de plume, but appending his name and address. He was slipshod to say the least. His record of events and decisions was incomplete. He failed to mention the outcome of approaches to the Perth Council and later the Government for a grant of land or the venue for the inaugural show of January 1877. He was unable or unwilling to make executive decisions causing additional meetings of the officers of the organisation. The authors had the benefit of access to minutes and therefore are doubtless correct in their assertions. What they may not be aware of was that the widower not only cared for himself, but now his grandson Francis Richard. His honorary status on committees was demanding of his time and the hours and days collecting river and road traffic statistics to support the case for the Eastern Districts Railway had to be balanced with the need to earn a living. Indeed he objected to his re-election as Secretary the following year on the grounds that he could not afford to pay his expenses in carrying out the business of the show. He was prevailed upon to continue in the position and by the end of 1878 had been paid £25/15/-. This is not to excuse him, but to put his secretarial failing in perspective. The authors do acknowledge that despite his secretarial shortcomings his efforts did result in a grant of land at the Causeway and an annual Government subsidy of £100. FBS had his supporters as well as his detractors in his agricultural society pursuits. By the fourth show, which was held at Guildford, the routine was well established. “Cymbo” recognised the contribution of FBS when he wrote, “My private opinion is that the ancient and redoubtable Flindell deserves all the credit. I know he has had many a weary trot up and down trying to collect the necessary guineas to keep the affair going“. FBS continued to push for a permanent site for the show and favoured the Perth area. Again this did not sit comfortably with all factions, and that would be true today. He laboured hard and long and lobbied in all quarters that were open to him, but he was becoming resentful of negativity and vested interests. By this time he was aged 71 and in failing health. He had given his all for the Colony and his vision for a central show and a railway. He was also in the last five years of his life, a time when he could have expected to be able to enjoy the fruits of his labour. It is a matter of record that his vision came to pass, if not on his preferred site, but at Claremont between Perth and Fremantle. What is sad is that the enmities that existed at that time resurfaced a century later. In 1990 the Lord Mayor of Perth, Charles Hopkins, proposed that FBS be recognised with a street or reserve named in his honour. Some members of this select committee opposed this vehemently, which said less for them and their motives than for FBS. This would have been a simple, but significant gesture to honour a true Colonial Pioneer. All was not lost as Flindell Street was gazetted in the light industrial suburb of O’Connor in recognition of the family’s pioneering roots. It is all the more special as O’Connor is named after the “father” of the Port of Fremantle and the Mundaring to Kalgoorlie pipeline. C.Y. O’Connor too was criticised and publicly humiliated for his vision. FBS was equally passionate about the need for a railway linking Perth and Guildford and extending to the Hills District. As mentioned previously he spent many days at the Causeway and other points along the Swan River collecting statistics on the river traffic and signatures in support of the railway. His vision to move people and produce more efficaciously won him staunch enemies among men with strong ties to government who made their fortune from the river traffic. Little daunted him, and a few more river barons being added to the list of opponents spawned by his single mindedness to the show society, did not caused him concern. Adversity and Achievement authors noted “The organisation [i.e. SF&TS] quickly became dominated by Flindell who, it seems was seeking a base from which to launch his campaign for the construction of the Eastern Railway, and to gather support for the creation of the Western Australian Agricultural Association. Indeed, the Perth-Fremantle-Guildford Railway Committee which formed in 1875 to raise £100,000 for the construction of the railway was reported as emanating from the Swan Farmers’ and Tradesmen’s Society“. As will be remembered, FBS unashamedly used the agricultural societies to promote the railway in his response to Governor Robinson’s toast at the anniversary dinner of the SF&TS. The Railway Committee passed a resolution of August 18th, 1875 that it was desirable to have a railway from Fremantle to Perth and Guildford with a view to extending it ultimately to the Eastern Districts based on the traffic tables prepared by FBS. While it was true that the Government had considered a railway before FBS began his agitation, it is equally true that the proposal had fallen on stony ground probably because government budget constraints precluded such an expensive railway project at that stage. This was not the first railway in the state. That honour went to a privately funded line to move logs to Geographe Bay for shipment. The first government funded line was built between Geraldton and Northampton to service the lead mine and construction began in 1874, but it took five years to complete. The promotion of a privately funded railway by FBS and his fellow toiler Mr. J. Morrison among others placed the government and the Colonial Secretary, in a difficult position. The Colony needed to demonstrate its progress and ability to be self sufficient, and has already been mentioned, the Colonial administration was keen to demonstrate control of public works and the kudos they could bring. The government having dug in, the writing was on the wall for private funding and by September 1876 the initiative was abandoned. FBS did not let the matter rest there. He continued promoting both his pet projects – the railway and a central show society – albeit at a lower key, at least as far as the press was concerned. There were, however other avenues. There had been a Guildford Town Trust since 1840, but with the Local Road Board Act of 1871 Guildford became a municipality with a Town Council. FBS would have been well aware of the opportunity to promote the railway through this vehicle. Fremantle was covered by the same legislation and the first Clerk of Works (later titled Town Clerk) was George Thompson who coincidently was the son-in-law of FBS. One can imagine the potential for collusion on a railway that would benefit both regions. FBS successfully stood for election to the Guildford Council in February 1879 and took up the position of Chairman. By April of that year he had resigned from the chairmanship, but was unable to find a successor and continued in office for several months. It appears that the problem was the lack of interest of the other councillors and at a meeting of rates payers in May 1879 the only councillors in attendance were the Chairman, Treasurer and Collector. This was a watershed attendance by the Collector, as he had not attended a meeting since November the previous year. On March 6, 1879, a mild stir occurred in the Council meeting when the Chairman, F. B. Shenstone Flinddell (sic), complained that he had been insulted by Mr. Davis, the collector. Mr. Davis was present at the meeting and gave his explanation which was thoroughly acceptable to the whole Council with the exception of the Chairman who indignantly resigned. The meeting continued with Dr Elliott in the chair. On March 27, a meeting of ratepayers was called to elect a new Chairman and Mr. Flindell actually occupied the Chair! There was no candidate for office and eventually Mr. Flindell later in the day withdrew his resignation. 1879 was an eventful year for FBS apart from Railway, Show and Council matters. 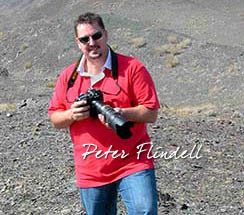 His ninth child, Thomas Shenstone Flindell, was killed near Albany while engaged on road works. His youngest, Henry Conquer and his wife Ellen had their first son, Francis Bassett Shenstone Flindell II. His much-loved grandson Francis Richard, who had been under his guardianship since 1874 when he arrived from India to further his education, sailed from Australia for England to pursue university studies in engineering. By 1881 the rhetoric had increased and, as mentioned above, M.L.C. attacked the editor of The West Australian for an article reporting the West Australian Agricultural Association dinner. The editor carried his own retort and, as stated above, FBS returned fire. The article included a toast to FBS by which Dr Waylen, which must have also stirred the belly of M.L.C., in which Dr Waylen stated, among other things , “that it possibly might not occur to all present that the successful meeting they had had that day was due to the labours of Mr. Flindell in the past, for, in point of fact, he was the originator of both this association and the Eastern Railway“. 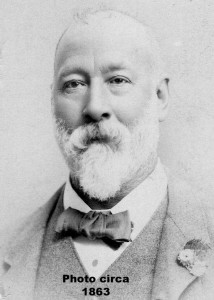 He went on to add “It was he [FBS] who collected the information as to the probable traffic upon this line, and when at length the scheme – always zealously supported by His Excellency, our present Governor – was taken into the keeping of the Legislative Council, in what way were Mr. Flindell’s services recognised? Why he was not even thanked; but on the contrary, was suffered to remain a pecuniary loser to the extent of many pounds“. In response FBS said “As to the Railway, he was glad to find that the calculations which, when the project was first mooted, he had made with reference to probable traffic on the lines proved, in the result, to have been correct, though at the time he was laughed at as a visionary. Many of those, who when the line was originally projected – and the birthplace of the scheme as well as the present association was the very town where they were now assembled at – threw cold water on the proposal, were now loud in their appreciation of the boon it conferred. 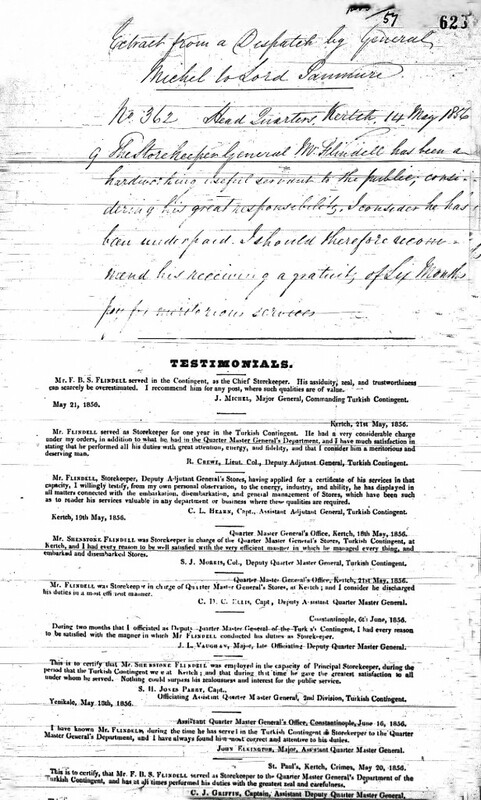 He thanked the company heartily for the cordial manner in which they have received the toast of his health and thanked Dr Waylen for the kindly terms in which he had proposed it“. The above paragraph could well be a précis of the contribution made by FBS to the Eastern Districts Railway and the recognition given by government. Sadly, the railways do not seem to have the same enlightened approach to history, as did the Royal Agricultural Society and the authors of their history in “Adversity and Achievement”. The only historical report of this railway I have found was in the Fremantle Public Library, historical section. That claimed all the kudos for the politician and the engineers and made no reference of FBS and his associates. Descriptions of FBS as a cantankerous old Englishman are probably correct by this time. He had given his all to Colony and Friends and Family, one might say in that order. It was really only selected friends and family who recognised and loved the old man. Certainly Governor Robinson, Dr Waylen and some members of the committees on which he served including Mr. J. Morrison and reporters such as “Cymbo” respected him in his time. Three years before his death he was belatedly recognised by the community he served. On March 26th 1883 he was presented with a purse of 41 Sovereigns on behalf of the Flindell Testimonial Fund in recognition of his services. Governor Sir William Robinson heads the list of contributors, and the remainder could well be a list of street names in Fremantle. At the time he was living with his youngest son, Henry Conquer in Beaconsfield. Perhaps the saddest contemplation FBS had in his final years was that of the eleven children his wife Joanna had borne, only three outlived him: James George Flindell (1834-1892), Ann Veall (1836-1893) and Henry Conquer Flindell (1852-1934). Each left their own legacy; James among other things the Albany to Eucla Telegraph, Ann as Head Mistress of Perth Girls School (1862-1886) and Henry pioneer settler of Beaconsfield, more than 30 years service in the Customs Department, award winning gardener and long time member of the WA Historical Society. FBS spent his last days lovingly cared for at the Pier Hotel, Fremantle, by this time owned by his elder son, James George Flindell. He had been ailing for some time, but no doubt was comforted by his family and friends and the belated recognition of the community. Francis Bassett Shenstone Flindell passed away peacefully at 11am, November 25th 1886 and was buried with his wife at Skinner Street Cemetery. His epitaph on their shared headstone reads “I believe that my Redeemer died for me.” He was a man of faith. Francis Bassett was a benefactor and supporter of Thomas II and a descendant of the Bassett family who fought the rebellion for an independent Cornwall. William Shenstone (1714-1763) was born in the parish of Halesowen, the son of Thomas Shenstone and Anne Penn, daughter of William Penn (Harborough Hall, Hagley). Mary Flindell (nee Brunton) was his niece. Family tradition has it that Shenstone was the last male of the line and did not marry. Thomas II and Mary elected to carry on the name through Francis Bassett Shenstone and this tradition has continued through the generations. FBS and Joanna Elizabeth Flindell (nee Northam) extended this courtesy and named their second son Richard Brunton after his mother’s family. See Thomas II for more on William Shenstone. Joanna was visiting her father at the time of the 1851 English Census. Mary, her mother, was not included so presumably she had died by this time. There could be other siblings who were elsewhere for the census noting the 7-year age difference of Joanna and Elizabeth and 19 years for Elizabeth and Selina. This would be Caslon and Catherwood type founders used by Thomas Flindell II. At that time their premises were at 62 Chiswell Street. Moorfields, London. Finsbury and Chiswell intersect so this could be the same location. The 1851 English Census lists him as Printer, employing nine men and two boys. Flindell Family History, compiled by Francy DeGrys 1978/79. Francy refers to letters and photographs held by family members. Her paper has been used as a reference for the Western Australian period of the family. There were other minor incidents generally associated with authority. At that time Military Officers were considered a station above the general public and expected marks of respect to be paid. Remembering FBS experience with the Military in the Crimea, one feels sure he would see their status at a different level. W.A. Historical Society Journal, Volume III, Part 2, Page 41. Adversity in Achievement. A History of the Royal Agricultural Society of Western Australia, by William Cooper, Garrick Moore and Michael White. Published by Scott Print, Aberdeen Street, Perth. ISBN 0-646-43969-3 (hard cover). Memorial 2939 registered in Book 6 Page 458. The Memorial system pre-dated the Titles system. In this era the purchase of property was under the “memorial” scheme and not by registered title as it is today. A memorial listed all the coordinates of the property, in this instance as “Canning Locations 172 and 218 respectively with measurements in links and chains from given markers. FBS resigned from the Customs Service to farm Grasmere, part of the Bateman Estate at Bull Creek. Described as Canning location 172 and 218. 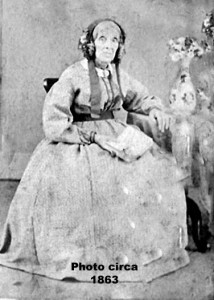 Mary Higham was widowed early and left to support six children. She became a prosperous merchant, which is no doubt why she bought the above land from FBS. The Inquirer of September 15th 1875. The WA Times of November 28th 1876. FBS had more than a passing interest in this project. His son James George Flindell, with his partner John Elsegood, had the contract to install the telegraph poles and line. Presumably a Member of the Legislative Council of the day. Letters to the Editor, The West Australian December 16th, 1881. The West Australian Times of March 31st, 1876. Adversity in Achievement Chapter 4, page 93. The West Australian of November 8th 1879. Thos Lowe was reported among them and was believed to suggest some members’ ancestors would turn in their grave if this were to occur. Adversity in Achievement Chapter 4, page 98. The West Australian Times of September 19, 1876. The West Australian of February 5, 1879. The West Australian Times of April 4, 1879. The West Australian Times of June 20, 1879. The Story of Guildford 1829-1952 compiled by The Town Clerk [Leonard Gibbons]. [Guildford W.A.] Guildford Municipal Council, 1951. Held at the Rose and Crown Hotel, Guildford. Adversity in Achievement Chapter 11, page 316.